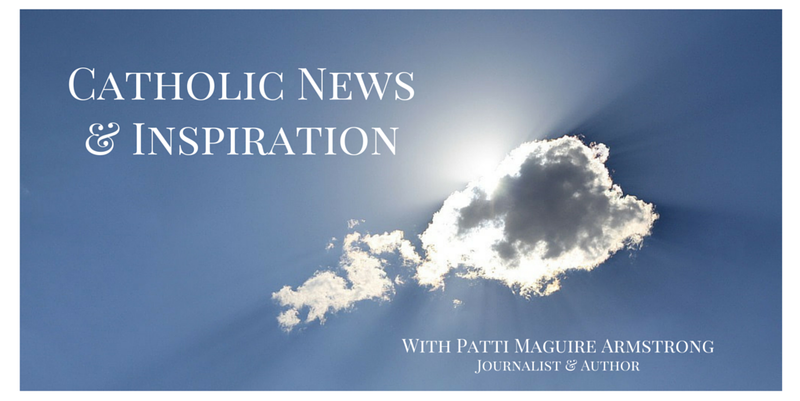 Patti Maguire Armstrong: How Powerful is Our Lady Undoer of Knots? It is believed that the devotion to Our Lady Undoer (or Untier) of Knots was inspired by a meditation of Saint Irenaeus (Bishop of Lyon and martyred in 202). St. Paul had made parallel between Adam and Christ and Saint Irenaeus, in turn, made a comparison between Eve and Mary. "Eve, by her disobedience, tied the knot of disgrace for the human race; whereas Mary, by her obedience, undid it". Wolfgang Langenmantel (1586-1637) set this devotion in motion through his struggles in marriage with his wife Sophie. He had visited the Jesuit Father Jacob Rem for his counsel. Wolfgang had given the priest the ribbon from his wedding. It was a German custom for the bride and groom to gently bind their hands with a silk ribbon during the wedding ceremony as a symbol of their unbreakable bond. Fr. Rem and Wolfgang spent time in his monastery chapel praying before an image of the Blessed Mother. The couple was reunited. Years later, the grateful grandson of the couple donated a family altarpiece and painting by Schmittdner, portraying the Virgin Mary as the “Untier of Knots” to reflect the family story. Pope Francis fell in love with the devotion to Our Lady, Undoer of Knots while studying for his doctorate in Germany in 1986. He was then, Fr. Jorge Mario Bergoglio and laid eyes on the painting at the church in Augsburg. It shows Mary in heaven surrounded by angels. She stands on the crescent moon crushing the head of the serpent. Satan and holds a long ribbon and is untying one of several large knots on the ribbon. Pope Francis bought a postcard of the paining and brought it home to Argentina. Marge Fenelon, author of Our Lady Undoer of Knots: A Guided Meditation from the Holy Land explained: “As cardinal, he had the image engraved into a chalice and had it presented to Pope Benedict XVI.” She reported that Fr. 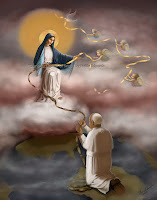 Bergoglio later relied on Our Lady, Undoer of Knots through a very difficult time in his life. As a result, author Paul Valleley titled his biography of the pope Pope Francis: Untying the Knots. The pope’s enthusiasm for this devotion quickly spread through Argentina during his time as cardinal. On October 12, 2013, during his catechesis, Pope Francis shared his devotion to the world. Marge’s own devotion to the Our Lady, Undoer of Knots as expressed in her book of Holy Land-inspired meditations, is intertwined with her trip there as a Catholic journalist with Pope Francis’s Pilgrimage. The meditations run for nine days beginning with pleas for justice and reunification in the Holy Land and following with appeals of healing from afflictions of every kind including envy, pride betrayal, discord and grief. Mary, Untier if Knots is venerated in Rome at the church of Santa Anastasia Palatino, the first Roman parish to have Eucharistic adoration day and night. 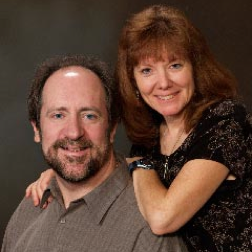 The devotion covers all of life’s knots but it has been closely connect to marriage and the family. 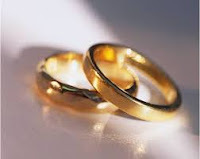 Never, before at any time in history, has marriage and family been under such brutal attack. So perhaps as never before, we need this devotion. Please share your own answers to prayers through this devotion. 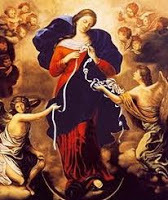 Click here for the novena to Our Lady Undoer of Knots.